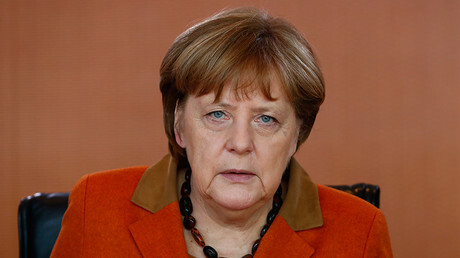 Turkish President Recep Tayyip Erdogan’s recent statements in which he accused German Chancellor Angela Merkel of using “Nazi methods” have provoked an angry reaction from the leader of Germany’s largest Jewish organization. "The comparisons between today's Federal Republic of Germany and National Socialism, which we have heard in recent days, are not only insulting and absolutely false – they also relativize the Nazis' rule of terror," the head of the Central Council of Jews in Germany, Josef Schuster, said, as cited by Deutsche Welle. He went on to say that such “comparison is monstrous and denigrates the suffering of the victims of the [Holocaust]." He also stressed that statements such as these threaten public security, as they make Nazism look like something trivial and belittle the level of atrocities committed by the Nazis. "In a time in which anti-Semitism and right-wing populism are on the rise, this completely inappropriate comparison and the trivialization it entails of the horrific deeds of the Nazis downplay the true threats," he said. Erdogan has repeatedly accused some European countries and Germany in particular of “fascist” or “Nazi-like” policies. The comments come amid a diplomatic row in which officials in a number of European states refused to allow Turkish rallies in support of Erdogan, ahead of a controversial referendum on reforms that would significantly boost the president’s powers. 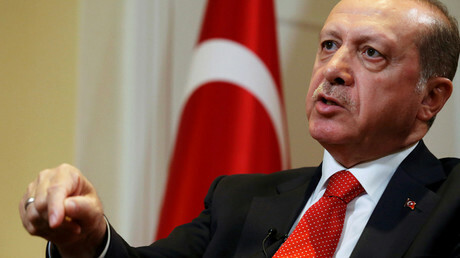 In his most recent remarks, the Turkish president personally accused Merkel of taking “Nazi” measures against his “Turkish brother citizens in Germany and brother ministers,” who attempted to stage rallies in Germany in support of the Turkish constitutional reforms. Erdogan's statements quickly provoked a wave of outrage from Berlin. 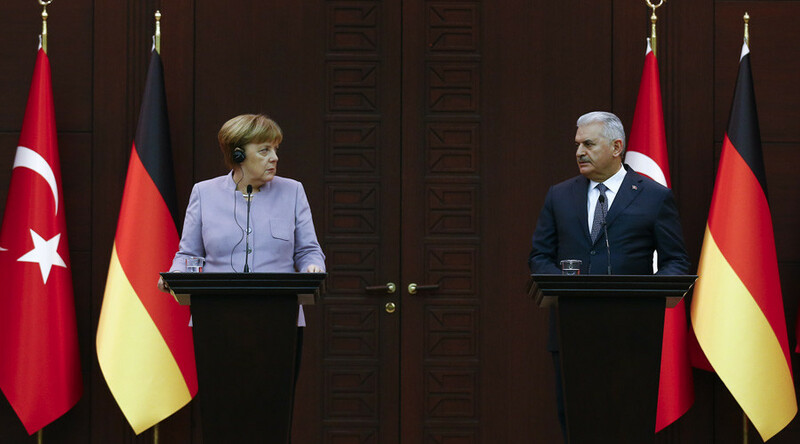 “This is enough,” Bouffier told the German Deutschlandfunk radio, adding that Erdogan had now crossed “the red line” and desecrated the memory of the victims of the Nazi regime. “It is clear that he tries his best to bring conflict to our land with his grave insults,” the German politician added. The Turkish government justified its Nazi remarks by saying that it is concerned over a perceived rise of fascism in Europe, adding that the comparisons were actually intended to be a friendly warning. "We make these metaphors about fascism and Nazism because we worry about the future of our European friends. We do know what these comments mean, particularly in Germany," Turkish Deputy PM Numan Kurtulmus told a news conference in Istanbul, as cited by Reuters. He repeatedly stressed that Europe is Turkey’s “close ally, friend and neighbor” which could face “a very bad future,” and emphasized that “measures should be taken” to avoid it.